Meg Rosoff’s adorable dog McTavish is set for further adventures. Barrington Stoke have acquired world rights in McTavish Takes The Biscuit, in which the Peachey family take part in a disastrous bake-off, and McTavish On The Move, in which the Peacheys up sticks to a new home, with all the excitements and trepidation that brings to any family, and their dog. 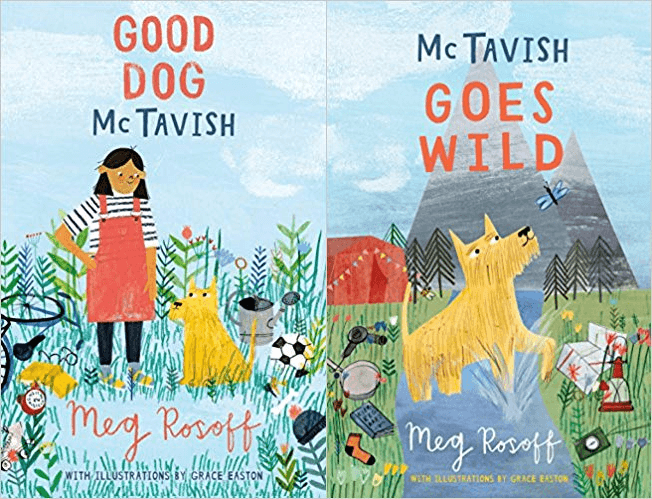 The first McTavish adventure, Good Dog McTavish, about a rescue dog on a mission to sort out his new family, was published by Barrington Stoke and Candlewick in America in 2017. Meg’s work has won or been shortlisted for 22 international literary prizes. In 2016, she was awarded the Astrid Lindgren Memorial Award, the most prestigious international prize for children’s literature. Meg is a Fellow of the Royal Society of Literature and of Homerton College, Cambridge. She is a regular on BBC Radio 4’s Saturday Review and Radio 3’s Free Thinking, and in 2016 presented a half hour segment of Artsnight for BBC2 TV.